Former England captain Wayne Rooney was Monday, September 18, banned from driving for two years and ordered to perform 100 hours of unpaid work after pleading guilty to drink driving. The Everton forward was stopped by police when driving a woman’s black Volkswagen Beetle at 2:00 am (0100 GMT) on September 1, while his pregnant wife and their three sons were on holiday. 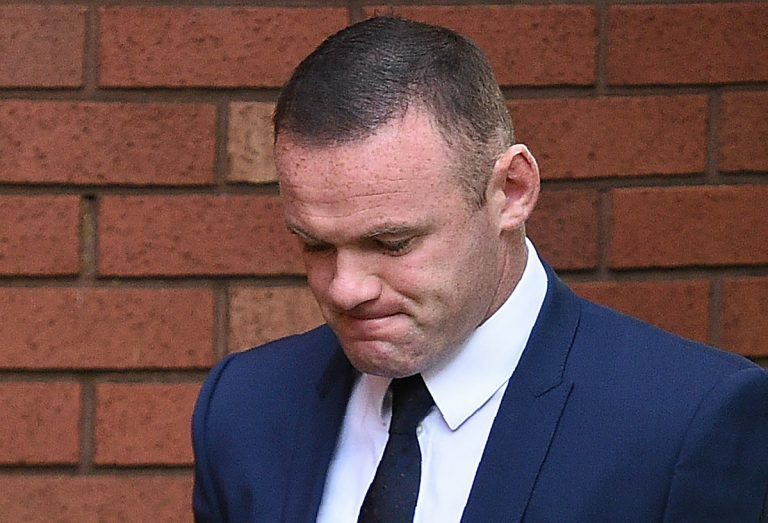 Stockport Magistrates’ Court in the northwest of England heard Rooney was almost three times over the legal drink-drive limit. A breathalyser test showed his alcohol level was 104 microgrammes in 100 millilitres of breath. Rooney apologised for his “unforgivable lack of judgement” after his guilty plea. “Following today’s court hearing I want publicly to apologise for my unforgivable lack of judgement in driving while over the legal limit. It was completely wrong,” he said in a statement. Rooney’s legal team asked the judge to consider not imposing a community order because of his ongoing charitable work. However, the judge said he was “not convinced” that imposing a large fine “would have the same effect”. Everton manager Ronald Koeman said earlier this month the matter would be dealt with “internally”.